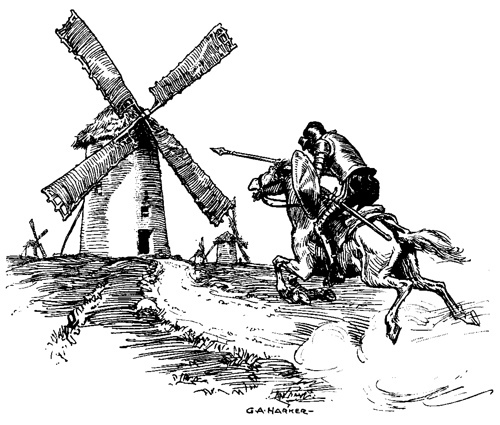 This entry was posted on Tuesday, September 15th, 2015 at 1:09 pm	and tagged with conventions of academic writing, Don Quixote, honorific and posted in academic protocols, back-formation, clear thinking, education, humor, inaccurate reading, literary understanding, neologism, reality confusion, student writing. You can follow any responses to this entry through the RSS 2.0 feed. I just always wondered that originated. It just sounds labored. I assumed it was Don Draper. Note that Don Draper co-starred with Jerry Lacey in the Allenberry production of The Odd Couple. I knew them both (a little) there. I don’t watch Mad Men, actually…and to compound my confusion, I did know a Don Draper back when I was doing summer stock! Liked him. I hope he hasn’t had a lot of troubling moments (MY Don, not MM Don). Next time you talk to Jane, do tell her “Hey!” from me! I’ll be sure to send your regards in my next letter to her. And I expect she’ll soon send her regards your way as well. I’m having a hard time relating to this! Ah, clearly you are one of the “not all” people. Good for you! You’re absolutely right. So you see my crusade has a long way to go! When I first heard students “relating to” things I thought it was just a quirk…then, a speech fad that would pass…thus terrible things creep slowly in, and by the time we realize they’re taking over, there are too many of them! No need for the “La La”s. I’m with you. “The Austen family reunion? I can relate to that,” said Jane! I would really appreciate if you would follow my blog. Love this! I have definitely been “relating to” without realizing it. Thanks for the lesson!